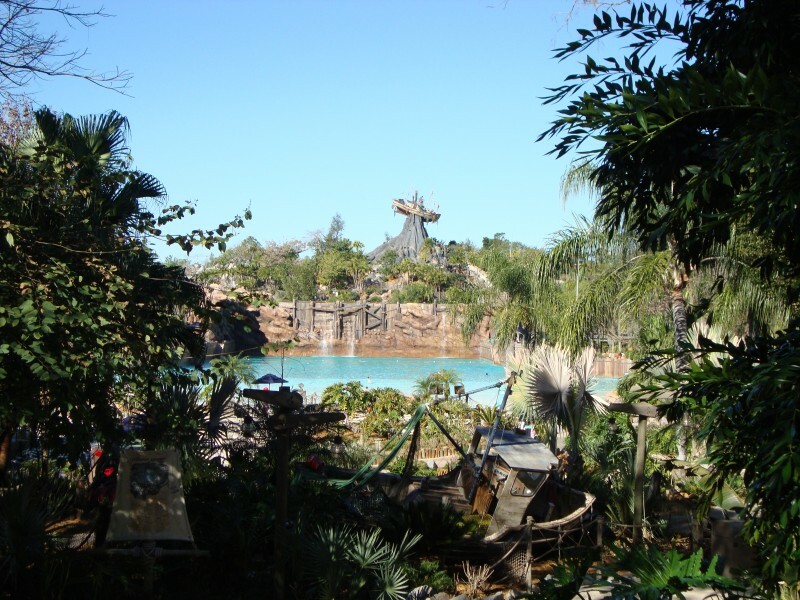 The center of Typhoon Lagoon is Mount Mayday, which at its base boasts a 2.75 million gallon wave pool. Nestled on top of its peak, is its landmark ship, "Miss Tilly". 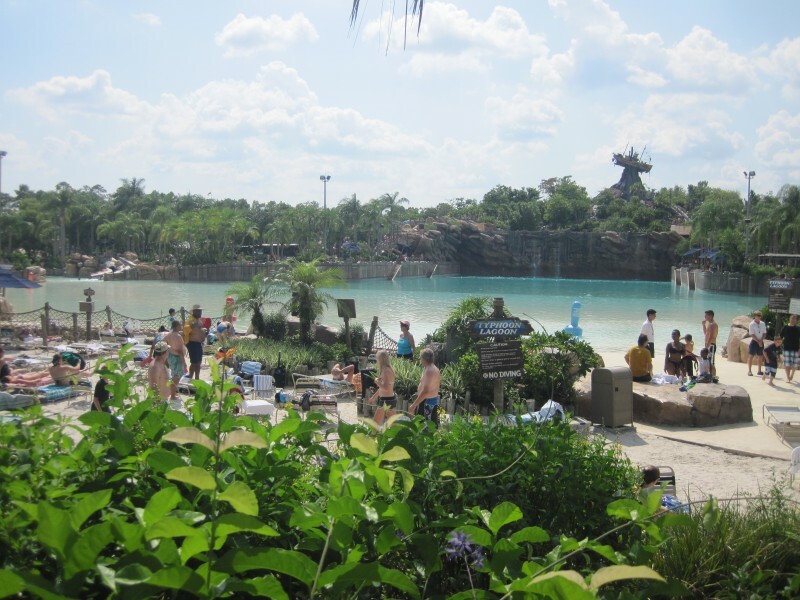 The wave pool, which is surrounded by a white sand beach, offers park goers the "tsunami" wave, which has you holding your sunglasses and bathing suits every 90 seconds. If this isn't your style, two small "tidal" pools, Whitecap Cove and Blustery Bay should be just your speed. A brand new family-raft attraction opened on the 12th March 2017,Miss Adventure Falls offers guests a fast-paced waterslide journey. From your 4-person raft, feel a rush of excitement with family and friends as an aquatic conveyor belt chutes you into action, then hold on tight as you spy precious artifacts collected from all around the globe. Locker Rooms with changing facilities and showers are offered near the entrance to the park. Small lockers cost around $13 ($5 refund on return of key), large lockers cost around $15 ($5 refund on return of key). Towels can be rented for $2, and life jackets and tubes are available free of charge. 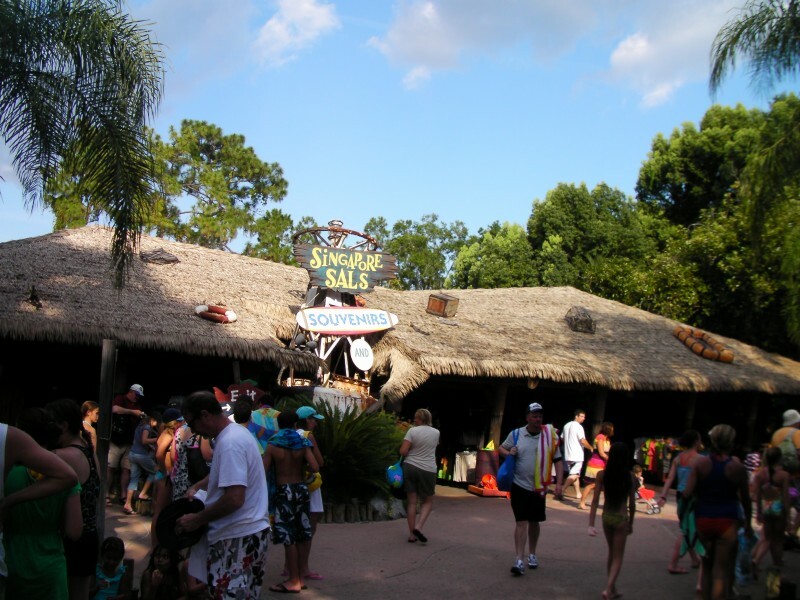 Miss Adventure Falls offers guests a fast-paced waterslide journey. 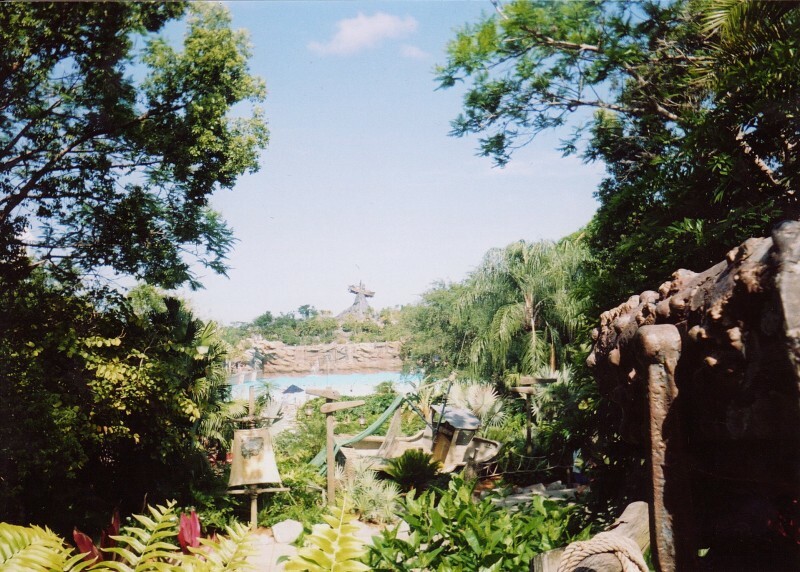 From your 4-person raft, feel a rush of excitement with family and friends as an aquatic conveyor belt chutes you into action, then hold on tight as you spy precious artifacts collected from all around the globe. Crush 'n' Gusher - While riding Crush 'n' Gusher, guests will be whisked along a series of flumes and spillways that weave through what appears to be a rusted-out tropical fruit facility. 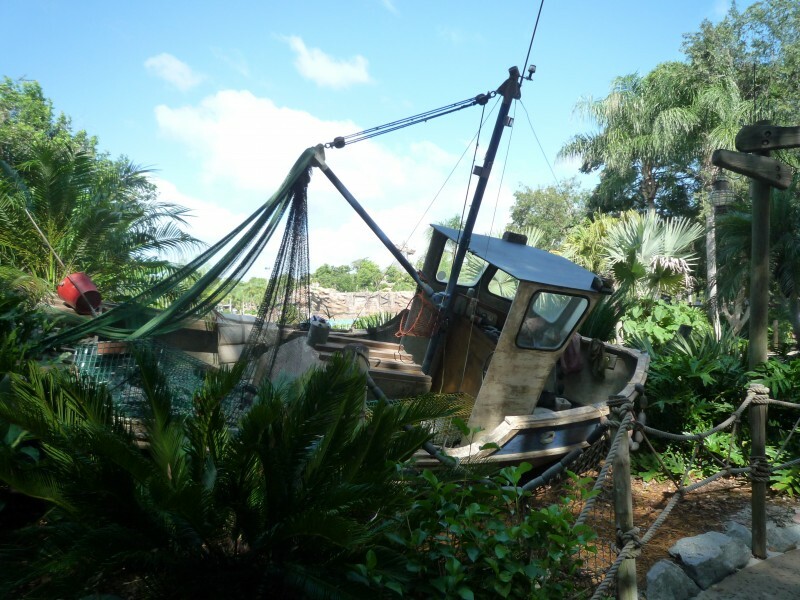 It's another chapter of the Typhoon Lagoon legend. 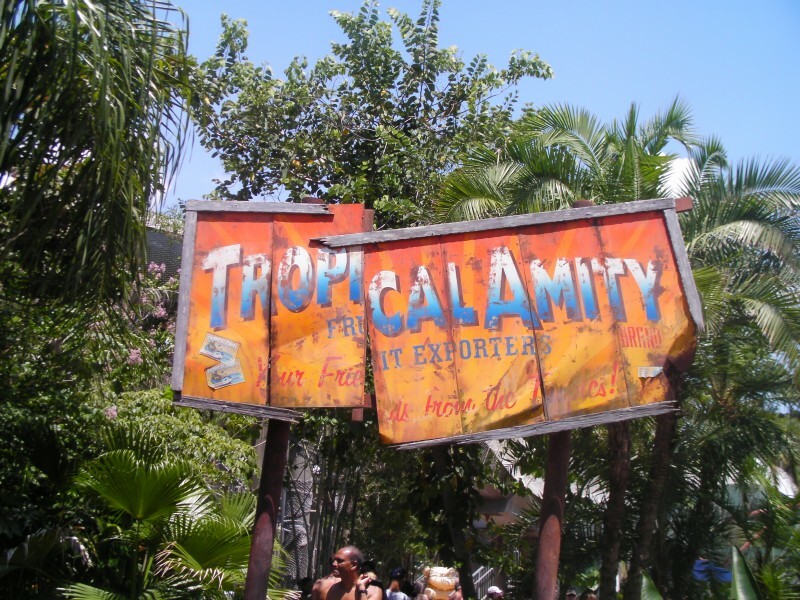 Walt Disney World guests will have three different fruit spillways to choose from -- Banana Blaster, Coconut Crusher and Pineapple Plunger. The spillways range between 410 to 420 feet in length and feature varying degrees of slopes and turns, reaching a peak of 35-feet and speeds up to 20 m.p.h. Must be at least 48" tall to ride. Shark Reef allows guests the opportunity to experience snorkeling with the likes of sharks and tropical fish. Snorkel equipment is provided free of charge. If snorkeling in the reef is not your style, non-swimming guests can view the swimmers and fish through the portholes of a sunken tanker, for this is what the reef is built around. 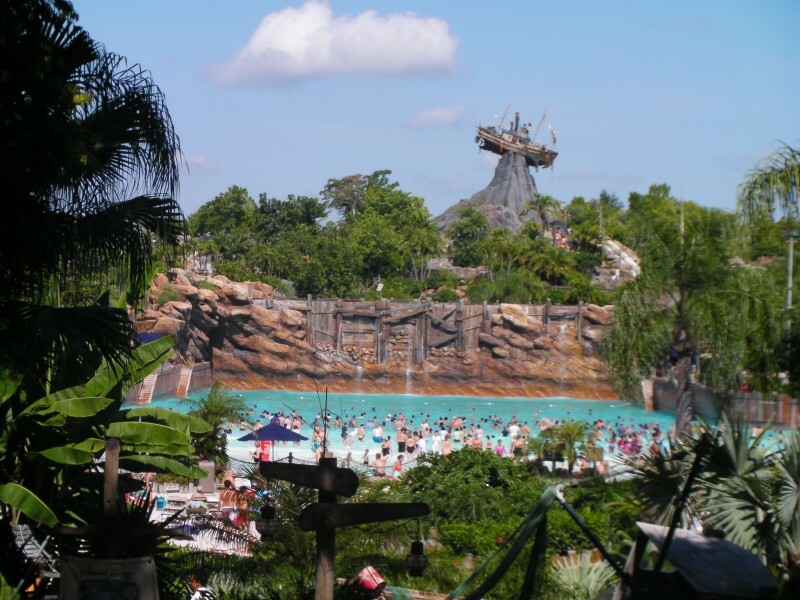 Castaway Creek is a 2,100-foot "lazy" river, which affords you the opportunity to grab an inner tube and your sunglasses and wind your way through the park in this 3-foot deep waterway. 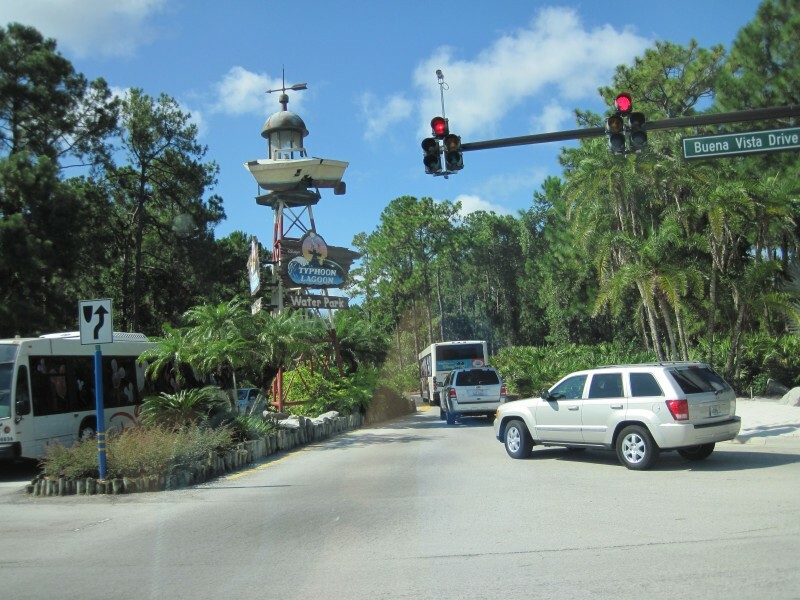 The ride takes you through an array of caves and waterfalls, and an area known as Water Works, where you will find yourself showered from the broken pipes. There are spots along the route to disembark if you so choose. 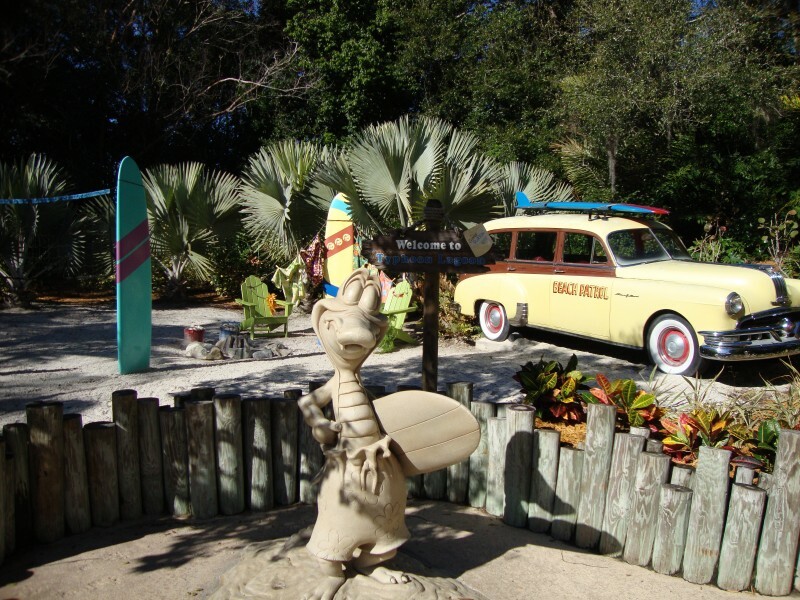 Humunga Kowabunga is home to the 3 speed slides that shoot you through caverns at speeds of up to 30 miles per hour. Each of the slides is 214 feet long and offers thrill seekers a 51-foot drop. Guests must be 4 feet tall to ride any of the slides. The Storm Slides, named Jib Jammer, Rudder Buster, and Stern Burner, are the body slides that send you down, at 30 miles per hour, thru waterfalls and caves. These slides are each about 300 feet long. Ketchakiddee Creek is the place to take your young ones in their "Mickey floaties" and "Froggie masks" to have a good time! 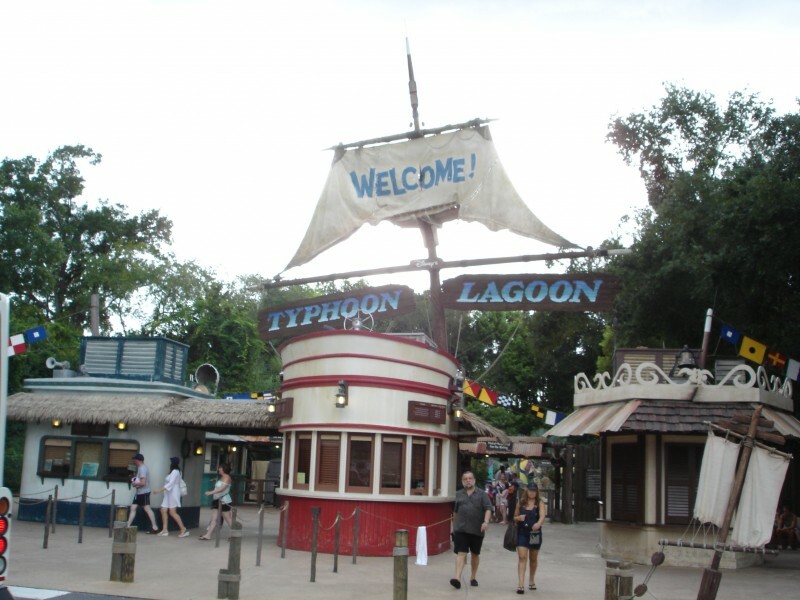 This area of Typhoon Lagoon is open only to guest 4 feet tall and under. All children must be accompanied by an adult. In this area you will find pint sized versions of slides, fountains, waterfalls, squirting whales and seals, a pint sized rapids ride, and tugboat with lots to do, and a beautiful grotto which your wee ones will love to run through. Bay Slides is the place to take toddlers and kids of 5ft and under, to experience a mini-version of the Storm Slides. Let them slide down the curvy slopes and make a final splash into the Surf Pool, where they can be safely collected by eager parents. Mayday Falls Plunge into the fun on the longest waterslide in the Park. 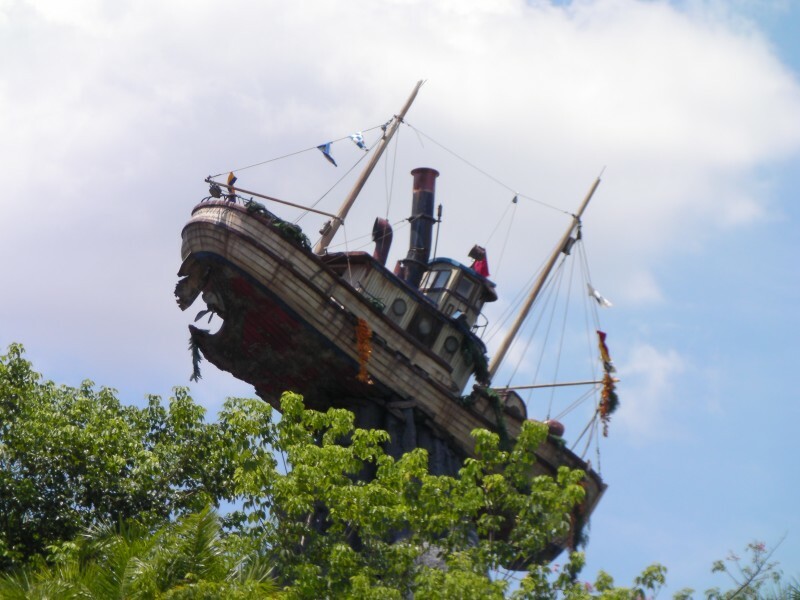 Travel through caves and waterfalls aboard your own personal inner tube as you swirl down the mountain in the shadow of the famed stranded shrimp boat, "Miss Tilly." Grab your raft — the swervy, curvy watery good times are waiting. Gang Plank Falls and Keelhaul Falls are places where families can enjoy a white water rafting adventure together! 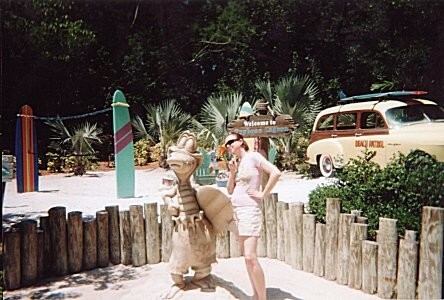 Surf Lessons Hang ten in the waters of Typhoon Lagoon. Have the bay to yourself before the Park is open so that you can master the fine art of shooting the curls. The world's largest wave machine produces surf every 90 seconds. The size of the waves can be adjusted up to six feet in height. Professional instructors and small classes help anyone from a novice to a pro improve form during a two-hour session. 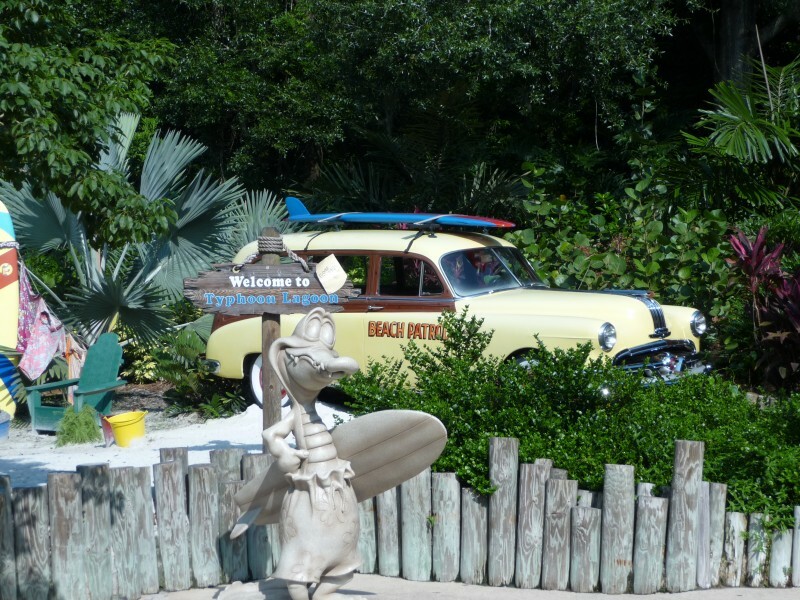 Wondering where to dine while at Typhoon Lagoon? 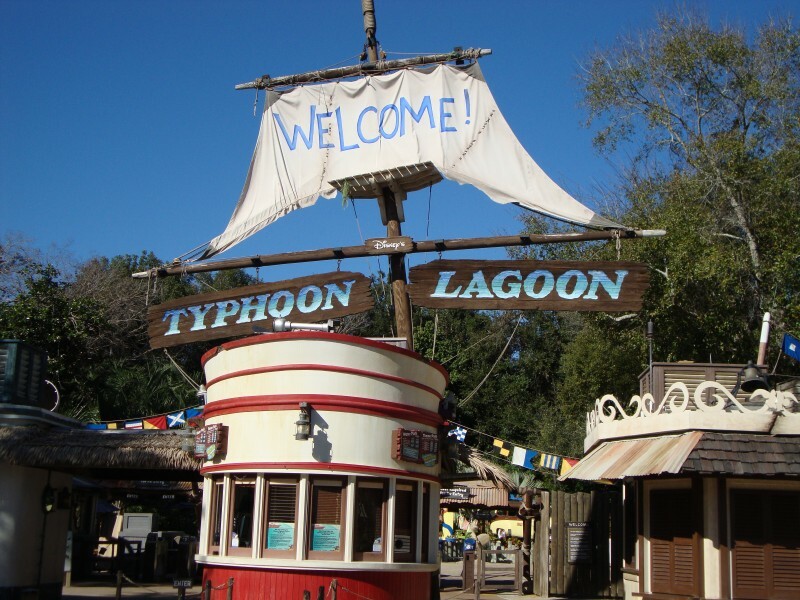 You can either bring your own picnic lunch or dine at one of two restaurants called Typhoon Tilly's or Leaning Palms, both offering outdoor seating. 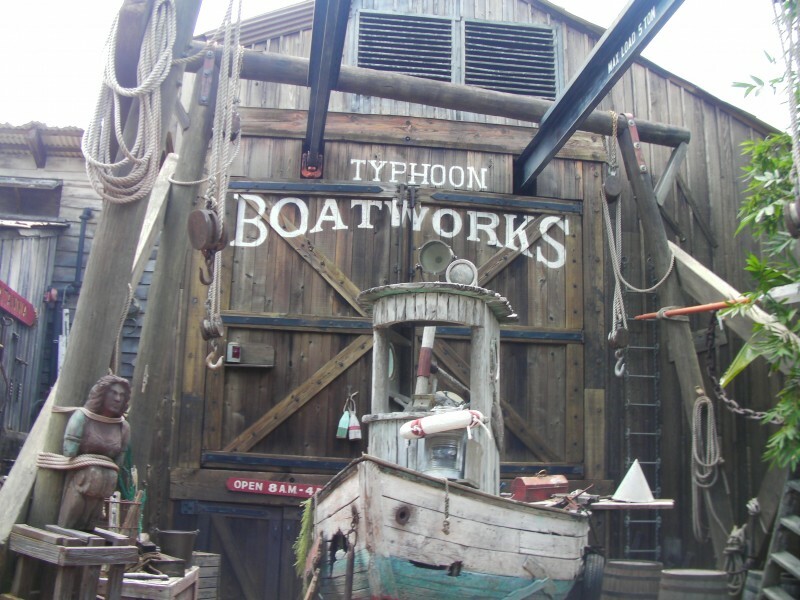 Each offers a variety of fast food options, and Typhoon Tilly's offers an area for ice cream and frozen yogurt. Please note that no alcoholic beverages are allowed in the park. Forgot your sunscreen, or your bathing suit? Singapore Sal's sells an assortment of beach items for anything you may have forgotten; here you will find items ranging from sunglasses to beach chairs. As part of Incredible Summer, "Toy Story" pals will throw glow parties at Disney’s Typhoon Lagoon water park, inspired by the awesome party in the Pixar short, "Partysaurus Rex"
On select summer nights starting May 30th, special lighting effects will transform the water park like never before as Buzz, Woody and Jessie throw a Beach Party inspired by their friend, “Partysaurus” Rex. 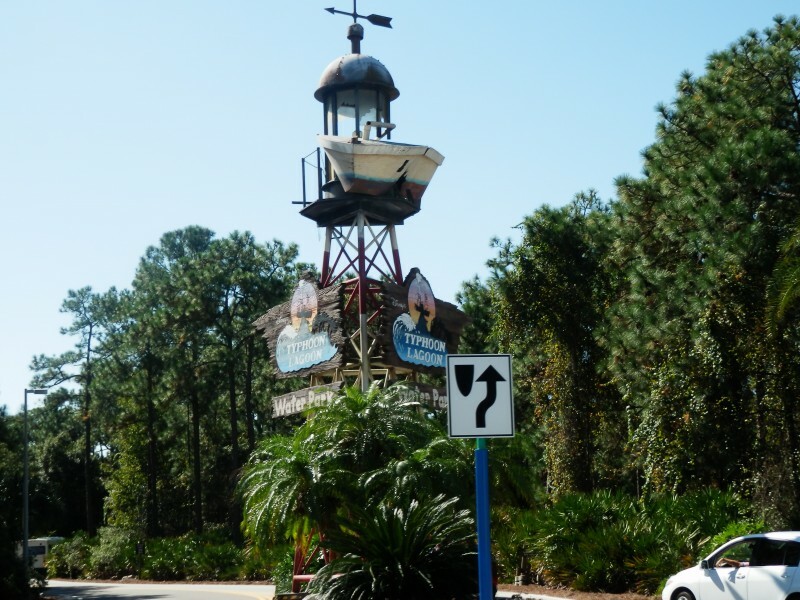 Come join the fun, dance on the beach, play party games, and meet up with Buzz, Woody and Jessie, plus, all attractions are open for guest enjoyment. 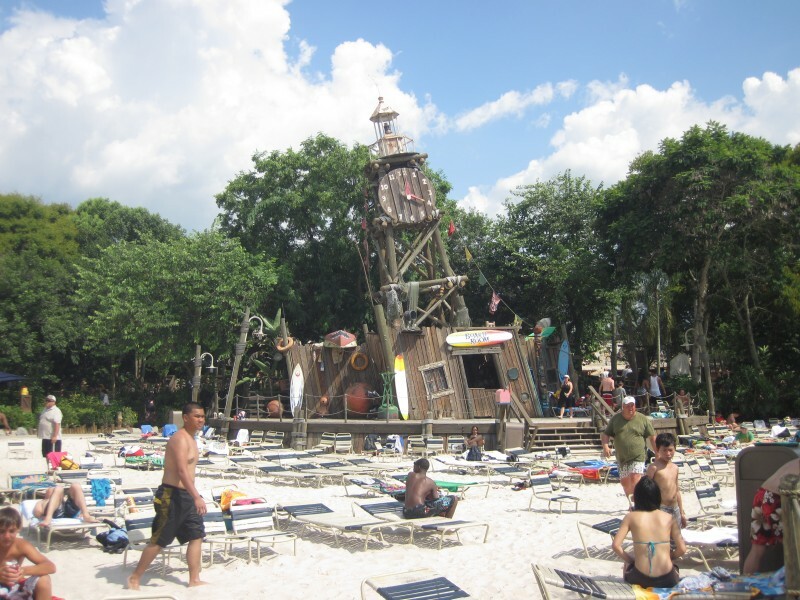 Disney H20 Glow Nights will take place only at Typhoon Lagoon on Thursdays and Saturdays from May 30 -August 24, from 8-11 p.m.
Disney H20 Glow Nights are a separate ticketed event and the party is not included in daytime admission. Tickets now on sale cost $59 for adults and $54 for children ages 3-9 (plus tax). On the day event tickets are an extra $10 per person. Page created by LaurenM on 17-09-2010 12:45.